The Illinois Supreme Court has appointed Jeanne Marie Wrenn to a brand new 8th Subcircuit vacancy. Prior to her appointment, Wrenn served as Senior Director and General Counsel at the National Safety Council. Before that, Wrenn worked as Ethics and EEO Officer for PACE. She has been licensed as an attorney in Illinois since 2003, beginning her career in the office of the Cook County State's Attorney. 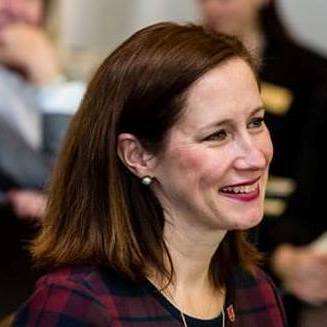 After service in the Traffic and Narcotics Divisions, Wrenn was assigned to the Legislative Unit, acting as a legislative liaison to the Illinois General Assembly, rising to Supervisor from December 2008 until she joined PACE. Wrenn made the associate judge short list in 2016.
another Irish woman being appointed. What a shocker. Is she going to withdraw from the Pethers vacancy now or is it too late ? If so who does this appointment help in that race ? I don't want to judge, but I'm pretty sure they aren't Irish women. At best Celia Horan and Stephanie Miller are Irish women (and I don't know either of their backgrounds). In any event, the meme that Irish women get S.C. appointments to the bench in greater proportion than others isn't accurate. But, don't let facts get in your way. Why should she? Perhaps the other candidate(s) can beg for an appointment to this seat once she wins the primary in the Pethers vacancy. Then again, there might be three appointed judges scrambling for that seat. How many appointments or reappointments will the Supremes be giving in 2018/2019? Apparently someone confused appointment with elected. They are 2 different verbs with significantly different meanings and consequences.